This is not a step by step instruction. Use the service manual for step by step installation instructions. These are just a few critical points that we feel need to be followed, as we have seen many people not follow these steps and have had issues that could have been avoided if these bullet points were followed. 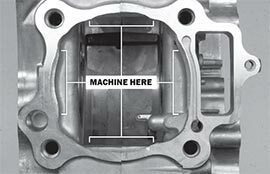 When replacing the crank, piston, or cylinder remove the head and cylinder (Do not leave the head attached to cylinder). When reassembling, double check these critical points. 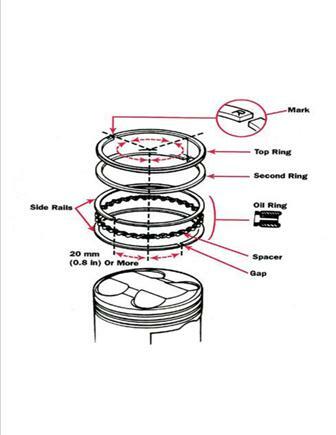 Check cylinder studs to make sure they are torqued to 13Nm (9.4 ft-lb). If using new studs make sure studs thread into holes freely with no snags or catches to make sure studs are fully seated then torque stud to spec 13Nm (9.4 ft-lb). Check cylinder base nuts need torqued to 42Nm(30 ft-lb) using a crisscross tightening method while gradually increasing torque amount until required torque is acquired (example torque all 6 to 35Nm crisscrossing then to 38Nm crisscrossing and finally 42Nm (30ft-lb)crisscrossing). Check for warpage, there should be no more than 0.03mm (0.0012 in) warpage. To check for this use a straight edge and a 0.03mm(0.0012 in) feeler gauge, this gauge should be the biggest gauge to go between the head and the straight edge anywhere on the gasket surface. 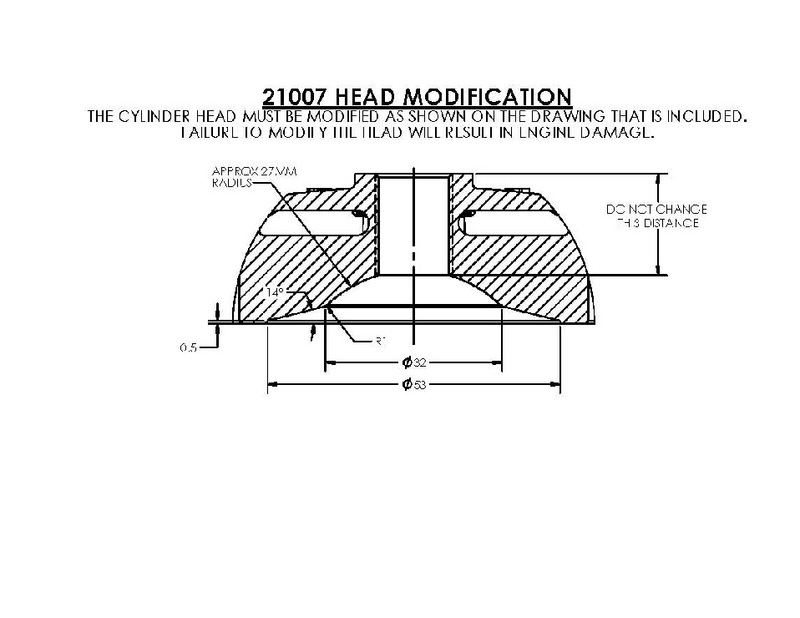 If a bigger gauge goes in, the head will need resurfaced before using (See service manual on resurfacing). 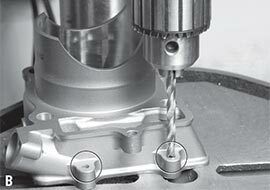 Check head studs to make sure they are torqued to 13Nm (9.4 ft-lb). If using new studs make sure studs thread into holes freely with no snags or catches to make sure studs are fully seated then torque stud to spec 13Nm (9.4 ft-lb). Use new head gasket O-rings (apply light grease to the O-rings when installing). Head nuts need torqued to 25Nm (18 ft-lb) with new copper washers and using a crisscross tightening method while gradually increasing torque amount until required torque is acquired (example torque all 6 to 15Nm crisscrossing then to 20Nm crisscrossing and finally 25Nm (18ft-lb) crisscrossing). Finally use a 95 or higher octane gas mixed around 30:1 with Yamalube or equal. This product is intended for closed-course racing only and the parts contained in this kit are not for aircraft use. Purchaser acknowledges that they have the expertise as to the intended use of this product, and therefore assumes all risk and liability resulting from use of the product, whether used singly or incombination with other products. This product is sold “as-is” without warranty, express or implied, including any warranty of MERCHANTABILITYor of fitness for a particular purpose. Neither manufacturer nor distributor nor dealer shall be liable for any indirect, consequential, incidental or punitive damages sustained by purchaser or any other person arising from or related to the use of this product. Any dispute arising out of or related to the use of this product must be settled in Polk County, Iowa and shall be governed by Iowa law. Purchaser and any other person using this product consent to the jurisdiction of the courts of the State of Iowa for resolution of any disputes. Purchaser agrees its use of the product constitutes acceptance of these terms.